Students are being asked to provide feedback on their semester two modules. 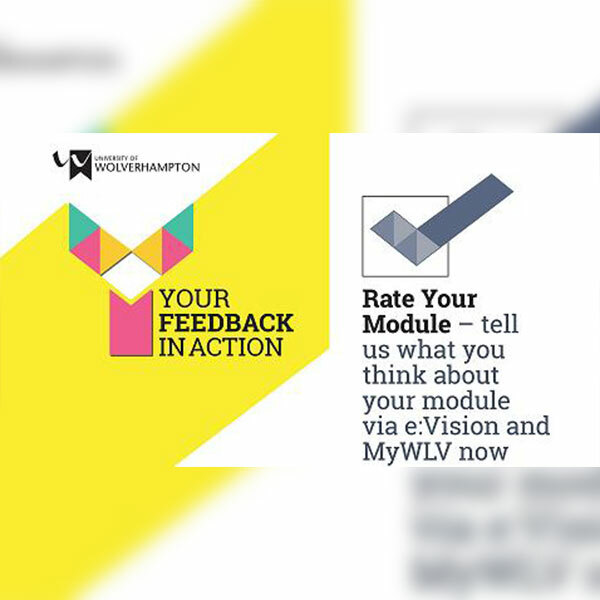 Rate your Module is part of the University’s wider Your Feedback in Action campaign, which aims to improve the student experience. For the next ten weeks students will have the opportunity to provide feedback. This new online survey will provide an opportunity for students to tell us what they think we do well and what we need to improve for each module enrolled on. Responses will remain entirely confidential – no data which is personally identifiable will be available to the module team. All feedback will be addressed with Heads of Institute or School in our continued efforts to improve teaching and learning at the University. Students will receive an email for each module they are registered as studying and just need to follow the link contained within the emails to complete the survey. Thank you in advance for your contribution. Alternatively the surveys can be found via e:Vision or MyWLV.